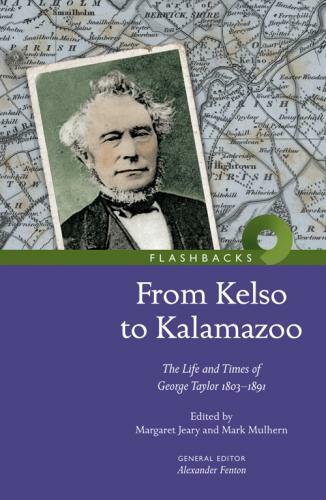 From Kelso to Kalamazoo is by and about George Taylor: the manuscript was handed down through generations of his family. It recalls the varied and interesting life of a man who, at the age of 50, moved his family from Kelso in the Scottish Borders to Kalamazoo, Michigan, in the mid-nineteenth century. George Taylor was a gardener and nurseryman and, when settled in Kalamazoo, he soon established a successful business supplying plants and hedging. He was an award-winning horticulturalist and was responsible for the introduction of the cultivation of celery to the USA. In the course of hearing about George Taylor's life - including the death of three of his four wives in childbirth - we encounter people such as the widow of the man who supposedly served as the inspiration for Robert Burns' "Tam o' Shanter", and events such as the Great Fire of Chicago. From Kelso to Kalamazoo is all too rare a primary source testament to the realities of emigration from the lowlands of Scotland to the USA.